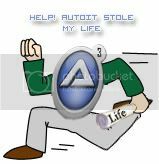 I am new to AutoIt i have a little knowledge on programming, with Python and a little Visual Basic. I think i understand the mechanics behind programming. Bearing that in mind i would like some help. I am in the process of planning a bot for a game. and for this bot to function, I need to use 'get pixel'. at this point in time i do not understand the 'get pixel' function and i am asking if it is possible for somebody to tell me the limitations and capabilities and generally how it works please? Also I would like know if it is possible or if it would consume too much power to constantly analyze 4-5 areas (lines of pixels, boxes of pixels) for certain colours and/or changes. Thank you very much in advance, for any and all help with this subject. Start out by looking for "PixelSearch" in the help file and here on the forum. There are (unfortunately) a lot of bot scripts around here that you can look at for examples. ok thank you very much. i will do that right now. also i would like to ask if pixelsearch can be used in if statements for example, this is a more VB version for simplicity, sorry. pixelsearch i give a colour and it gives me the coordinates? pixelgetcolour i give a coordinates and it tells me the colour it finds ? then i want it to compare that pixel it finds with the colour i will specify, then if the colour it finds is the same as the colour i told it. it will do something but if it doesnt then it must skip onto the next line or repeat. basically, i just need to make sure that this is possible before i start getting too much into this then i will start my learning process and stop acting like a noob and risk getting flamed. How is this any different than using PixelGetColor? You want to search a spot (enter x,y in PixelGetColor). This will repeate until The color is found..
Hey lol is color spelt color... or Colour? i want to find a fishing rod, lol. and if the fishing rod is leaning right i must press left, if the fishing rod is leaning left i must press right. now, the idea is i get 3 pixel positions from my screen ( rod left, rod right, rod central) each of these spots has a possibility of being 2 colours each, the rod colour, and back ground colour. i need autoit to continuosly search these 3 spots if it finds the rod colour on the left. it presses right, rod on the right presses left... you get the idea. as you can see, some familiarity with the code is to be desired. but i think i got the idea? if that makes sense? and could somebody also tell me how to put my code on inset like that please, im thinkin ive got alot of variables and pixelgetcolour problems im going to need help with. Basic idea to get you started. no no, that is perfect. the fully finished program i am making will be 1 huge loop, with a lot of mini loops inside, and the idea is. 9. restart from number 1.
ive started drawing out a big visual idea of how i want it too work. say if the fish is too big to cancel, if inventory is full close game.